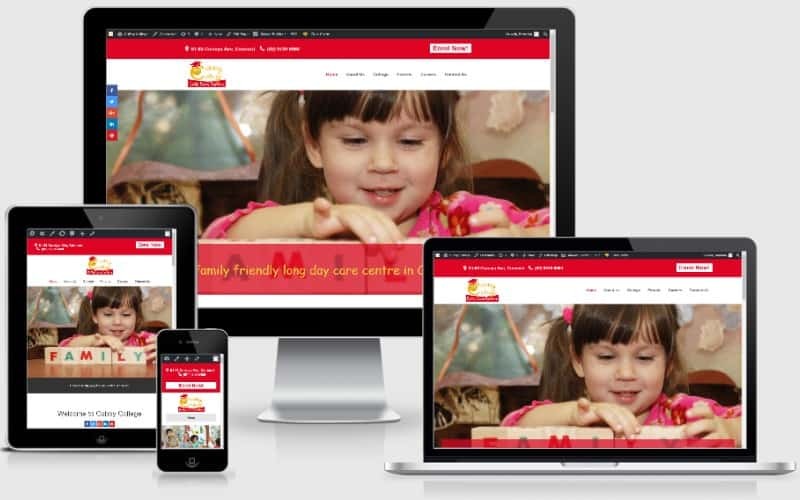 We were approached by the owners of Cubby College Child Care Centre in Concord to try to improve their online presence. They were having some issues with their existing website and needed some help to get things back on track, with the aim of being able to compete in the search engine rankings in the competitive child care niche. Working closely with the business owners, especially during the launch process, we had the new website up and running in the timeframes discussed. The website quickly ranked very well for many of the most popular search terms related to their industry and location, and has managed to continue to do so since launching. This has been a fantastic result for the owners of Cubby College. By doing the competitive analysis and setting up the website the right way from the start, the initial investment has well and truly paid for itself and will continue to do so for years to come. Does this story sound familiar? Does your business’s online presence need some attention so that you can start ranking better in the search engines and get more clients in the door? Many business owners find it difficult to know where to start or who to trust. We understand this, so we always take the time, especially at the start of the process, to sit down with you and explain everything in terms you will understand. We love meeting with our clients face-to-face and getting to know them and their business. If this sounds like it can work for you, then why not reach out and have a chat with us. We’d love to be able to discuss the options available to you and get your website and online presence working better. Contact us today.